This is one of the core questions content marketers struggle with. How you answer it will shape your content strategy, your budget, and more. No content marketer answers this question in the same way. Even on this blog, there might be some dispute. Depending on your budget, your audience, or your business model, you may need more or less content. These factors all determine the types of content you create, which may need to be of higher or lower quality. But let’s get something out of the way from the start: You can’t go to the extreme of either end of the spectrum and succeed. In most cases, it’s unrealistic to expect to publish one piece of content a year and grow your business. Even books need a content marketing campaign. On the other hand, you can’t just pump out awful content every hour and expect to grow your business. And when I say awful, I do mean truly awful. Articles lacking original ideas and filled with terrible sentences, misspellings, butchered grammar, no images, and bad formatting. Content that is just downright painful to read or even look at. The reality is that you need to find a middle ground. We all have to balance between content quantity and quality. You can’t have it 100% both ways. The middle way is the solution all content marketers eventually settle on. They find their own balance between just enough content quantity and just enough content quality. What that looks like will be different for everyone. The trick is finding the sweet spot for you. Personally, I’m in the content quality camp. I think it’s more important to lean towards creating high-quality content than to create “a lot” of so-so content. There are a lot of reasons why I believe this. As soon as you’ve got even one piece of quality content, there are ways to make it into many other pieces of content. This is called “reformatting content” or “repurposing content”. As we’ve written about here before, one good blog post can be made into almost a month’s worth of social media updates, email content, and more. So in that sense, once you’ve got your content repurposing machine going, you’re going to need significantly less content, almost half as much in fact. The reason being that you’ll take every new piece of content and reformat it into at least ten more pieces of “cloned” content. This works because your audience sees barely 20% of what you publish at any given time. So if you re-publish reformatted content (especially if you do so on different sites), you won’t be boring them with the same piece of content over and over. To them, it’ll be new. Supplement your content creation efforts with curated content. As you know, we write a lot about content curation. There’s a reason. It’s great way to source and publish good content on a regular basis, and an ideal way to ensure you are continually delivering highly valuable content to your audience – without you having to create the content. Curated information is also often more trusted than content you’d create yourself. It also supports your search engine optimization efforts. And it even works for lead generation and lead nurturing. In short, curated content is in many ways just as good (if not better) than content you create yourself. 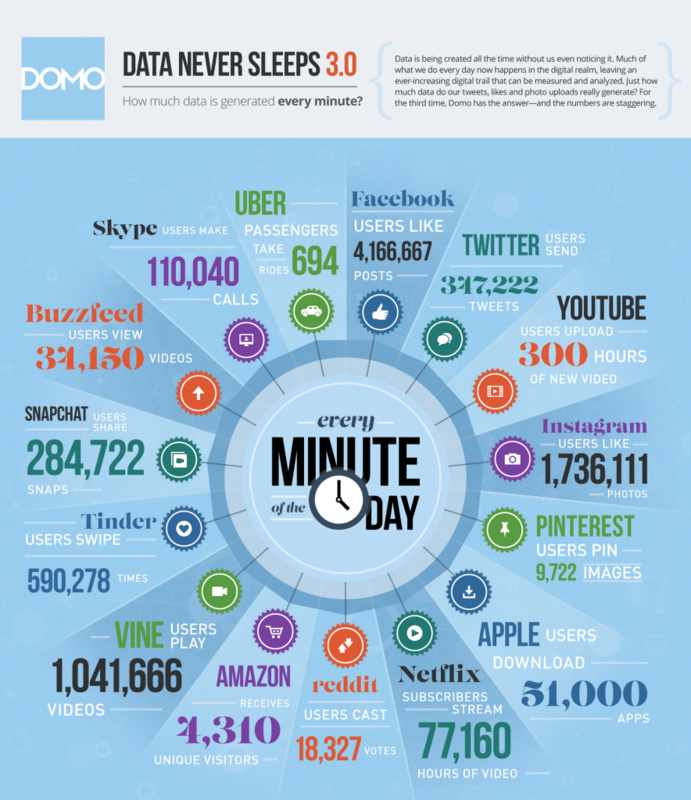 If you curate even some of the content you publish (say, 30%? ), then you don’t need to create as much of your own. So this again tips the scale away from having to create lots and lots of content. And it gives you a bit more time to create higher quality content. 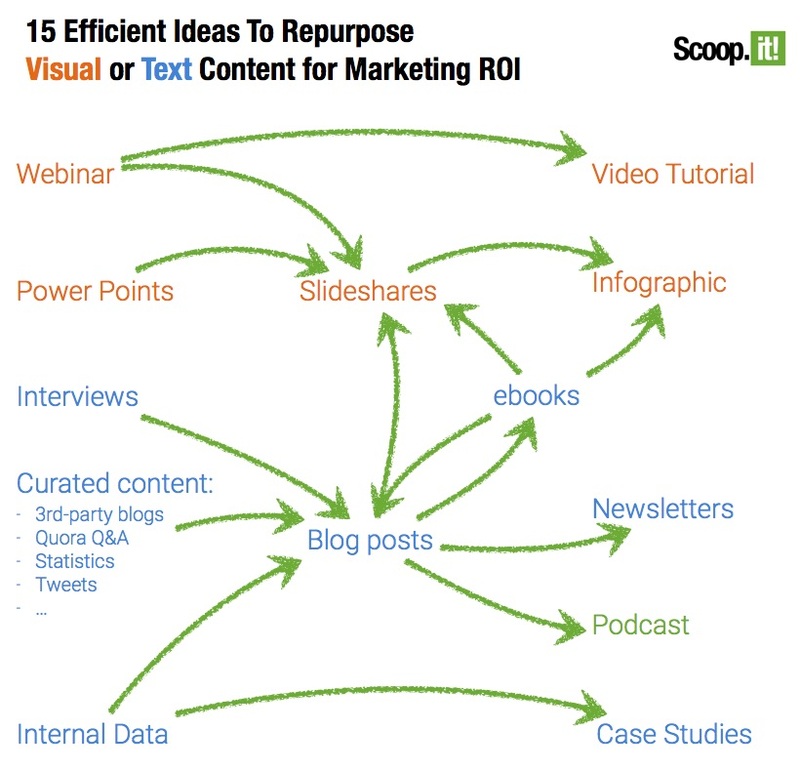 You can use a good content marketing tool to help automate this process and save you time. 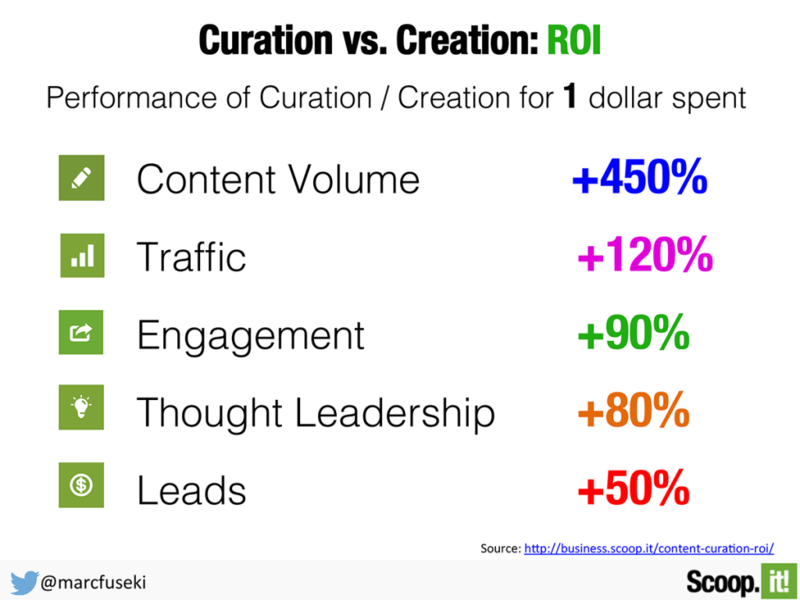 Curated content often has a higher ROI than in-house content. We may not need to publish so often. Publishing more content does not equal more results. Or at least proportionately more results. At a certain point, the more you publish, the more your contents’ engagement rates fall off. That means you’re just working harder for less results. There are also several hugely successful blogs that publish once a month or less. Derek Halpern’s Social Triggers and Brian Dean’s Backlinko are two examples. Derek Halpern, in particular, really made a point of publishing only once a month. And yet he grew his blog to 100K visitors per month in less than two years. Brian Dean took the same approach. They published triple A+, world-class, content. To give you a sense of what exactly goes into this, Brian Dean often spends 20 hours or more writing a post. They spent 20% of their time creating content, and 80% of their time promoting it. This is a huge ingredient for success, but most content marketers are still awful at it. I saw a study last week that reported 77% of the content marketers they surveyed share their content only three times or less. No wonder so many content marketers aren’t getting any results. If you want to learn how to maximize your content distribution and reach, check out this article! They networked with influencers relentlessly. For example, Brian Dean says he emails at least 100 “laser targeted” people about each new post he publishes. So that’s why quantity is less important than how it may appear to be. These are the reasons I believe we should lean toward higher quality content, even if it means publishing our own original content less often. Higher quality content pleases your audience. Content marketing is supposed to be all about attracting and engaging an audience, right? We’re supposed to be creating content for that audience – to hold their attention so they’ll think of us first, right? So shouldn’t we make the kind of content they like… the kind of content worth reading and sharing. Higher quality content stands out. Familiar with the term content shock? It’s the concept that there is more content available to an audience than they can consume. Let’s low-ball how much content is available online, and assume there’s only 50 times more content than your audience can take in. For every 50 pieces of content available, they only have time for one. Is your content worth being that one-out-of-50 thing they choose to spend their time on? And if it’s not, can you really blame them if they’re not paying much attention to what you publish? 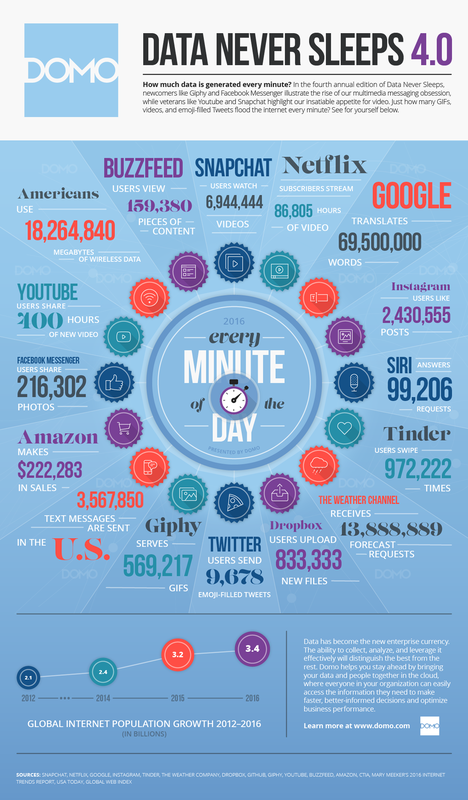 Here’s how much content is published every minute online. Search engine optimization is a winner-take-all game. It would be bad enough if you were competing equally with all those pages. But you’re not. The first three listings in the search results get the lion’s share of all clicks. 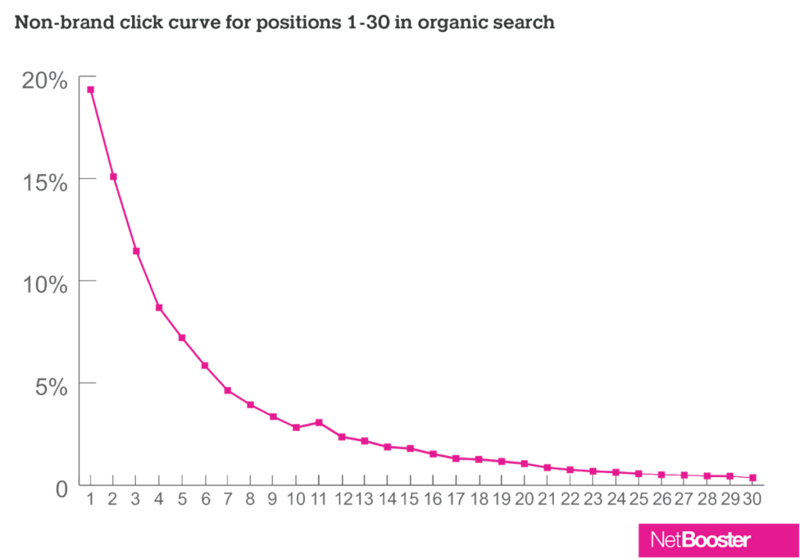 Here’s how the percentage of clicks falls to the top listings. From NetBooster’s October 2014 “One Click Curve To Rule Them All” report. So what does it mean? It means if your content isn’t of high enough quality to make it into the very top of the list of search results, you’ve missed the bulk of the available clicks. You’re left fighting over single digit click-through rates. What you publish is a reflection on your brand. Do you really want to be publishing poor or so-so quality content? What does that say about the quality of the rest of your products and services? Low quality content is a waste of money. Weak content generates minimal results at best. Even if lesser-quality content costs half as much as quality content, you’re not even getting half the results from it. You’re getting 10-20% of the results. 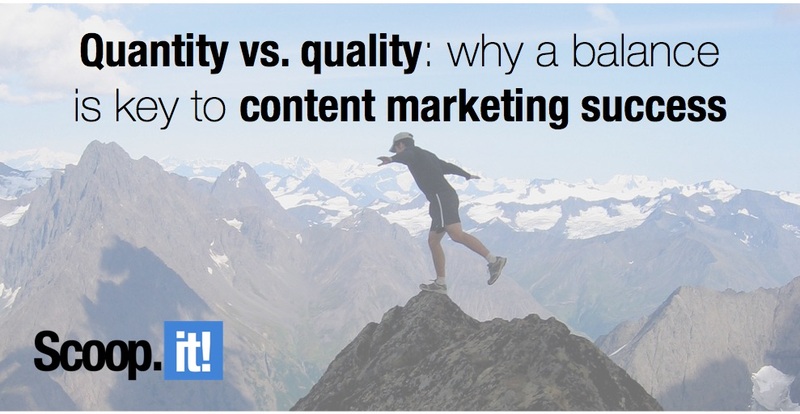 Every company has to work out their own balance between quality versus quantity for content marketing. Very few of us can have all the content we want at the highest level of quality imaginable… there simply isn’t enough room in the budget. With content curation and content repurposing, you can publish about a third as much content as you used to and still get the same results. You may be able to publish less frequently than you think. Several content marketing companies have found that when they really tracked results, less content actually earned them more of a bang (in traffic, conversions, social shares) than publishing more often. Because of content shock, if you’re content isn’t high quality, your audience really has no reason to consume it. They’re spoiled for choice. There’s so much being published now that there’s no reason to waste time on so-so content, even in narrowly-defined niches. Search engine traffic disproportionately goes to the pages at the top of the search results. Poor content actually ends up being more expensive. It doesn’t get you somewhat less results than high-quality content – it gets you about 10-20% of the results. What’s the sweet spot between quality and quantity of content for your company? Do you think there are more and better reasons to publish more often, with “lower” quality content? Share your thoughts in the comments. 8 Comments on "Quantity vs quality: why a balance is key to content marketing success"
This is a fantastic article and very helpful. Quality vs. Quantity is something I struggle with constantly. Especially with so many options. Do I create a podcast, a blog post, a video, or an infographic? How often? Where do I share it? How do I determine what works best? Not to mention creating products, sending newsletters, and everything else. I think it is time I stop stressing about not posting enough. Hey Jason. Yup – you just articulated what most of us content marketers struggle with. It’s great we have so many options for what to do, but that also makes it a bit confusing at times. When in doubt, go with the data/analytics. This works because your audience sees barely 20% of what you publish at any given time. Really glad you liked it, IT consulting. Thanks for your feedback. Thanks for your thoughts, Pam. Greets from Lima, Peru, and have a great week! Articles lacking original ideas and filled with terrible sentences, misspellings, butchered grammar, no images, and bad formatting. Content that is just downright painful to read or even look at.